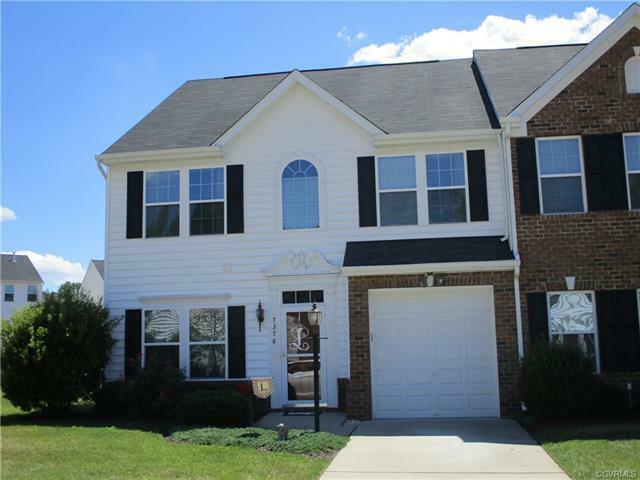 JUST LIKE NEW FIRST FLOOR MASTER TOWN HOME IN DESIRABLE BELL CREEK COMMUNITY! BEAUTIFUL END UNIT WITH SPACIOUS DINING ROOM WITH CHAIR RAIL,HARDWOOD AND WAINS COATING.GRANITE KITCHEN WITH 42" CABINETS,ISLAND AND CERAMIC TILE.VAULTED GREAT ROOM WITH DOUBLE WINDOWS,DROPPED CEILING FAN AND FIREPLACE. HUGE MASTER SUITE WITH TREY CEILING,CEILING FAN AND CERAMIC MASTER BATH GOING INTO LARGE WALK-IN CLOSET.2 BIG UPSTAIRS BEDROOMS WITH CEILING FANS AND WALK-IN CLOSETS. BEAUTIFUL SPACIOUS LOFT WITH CEILING FAN OVERLOOKS THE GREAT ROOM.HUGE FENCED IN BACK YARD WITH HARDSCAPED PATIO. PLAYGROUND,TENNIS COURT,POOL,JOGGING PATH AND A CLUB HOUSE .CONVENIENT TO 295,SHOPPING AND MEDICAL OFFICES. MOVE IN READY!! !